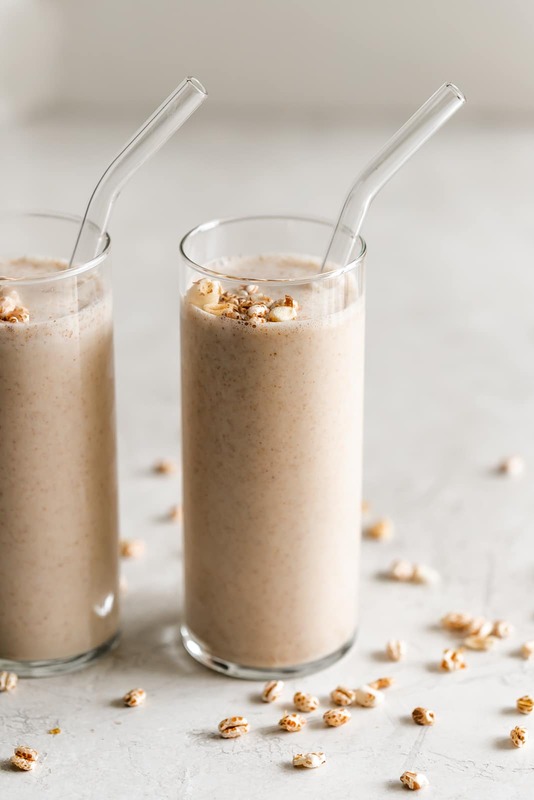 A classic Cuban wheat milkshake made dairy-free and refined sugar-free using paleo sweetened condensed milk, cashew milk, and puffed wheat cereal. To know me is to know that a batido de trigo is my all-time favorite milkshake. Maybe it’s because it’s nostalgic or maybe it’s because it’s deliciously creamy. 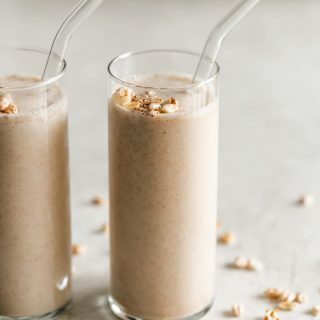 Either way, a batido de trigo (translated to wheat milkshake) is a classic Cuban milkshake made with sweetened condensed milk, whole milk, sugar, and puffed wheat cereal. I’ve been enjoying this recipe since birth and honestly I’ve never grown tired of it. Here’s the thing though – a lot of my friends and family are either allergic to dairy, lactose intolerant, or diabetic. So I really wanted to make this milkshake with them in mind. That’s why I turned this batido de trigo into a refined sugar-free, dairy-free wheat milkshake! If you weren’t born in a Cuban family or in South Florida, all this is foreign to you. You can find this milkshake served at Cuban restaurants along with many other fruit varieties. This one for some reason was just always my favorite one. I mean, how good does that sound? My attempt at making this milkshake dairy-free and refined sugar-free turned out pretty good! It tastes almost as good as the real thing which is exactly what I wanted. Here’s how I made it. Well, first things first, you gotta make the paleo sweetened condensed milk before you make the actual milkshake. If you find a dairy-free sweetened condensed milk at a grocery store, feel free to use that instead. I found this recipe online which was very easy to make. To make the paleo sweetened condensed milk, add coconut milk, butter or ghee, honey, and vanilla extract to a saucepan. Cook low and slow until reduced and slightly thickened then allow it to cool before using. It will thicken as it cools. The recipe below makes about 4 ounces of paleo sweetened condensed milk which lasts about 5-7 days in the fridge. 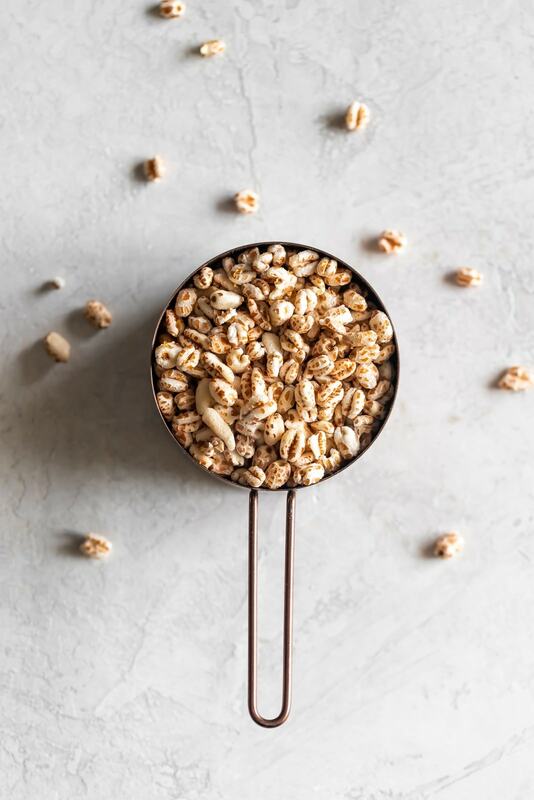 To make the wheat shake, add cashew milk (or your favorite nut milk), puffed wheat cereal, paleo sweetened condensed milk, pinch of salt, and ice to a high speed blender. This is the blender I use and LOVE. Blend the ingredients until smooth then serve. That’s it! Even if you’re not team dairy-free, I have a feeling you will love this variation. Let me know what you think in the comments below! First, make the paleo sweetened condensed milk. In a saucepan, add coconut milk, butter or ghee, honey and vanilla. Simmer, low and slow, until slightly thickened and reduced, about 10 minutes. Allow to cool completely before using. This makes about 4 ounces. Leftovers can be placed in the fridge for up to 1 week. Now, we make the shake. 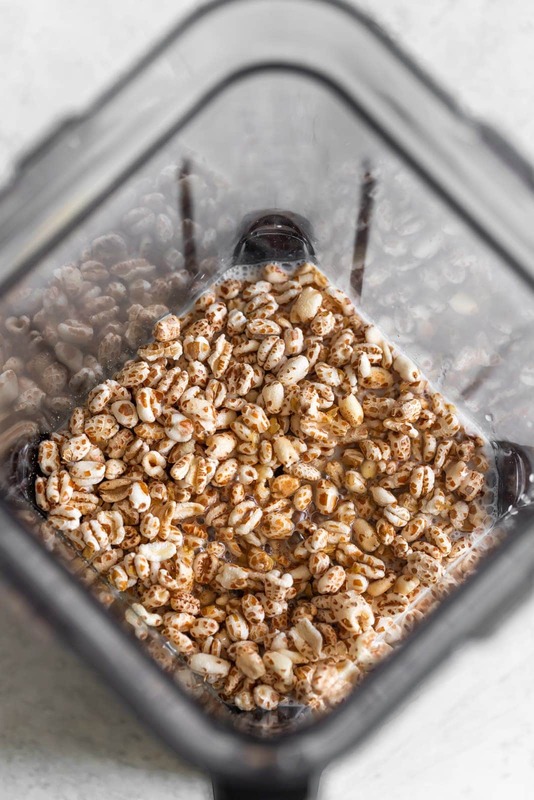 To a high speed blender, add nut milk, paleo sweetened condensed milk, puffed wheat cereal, salt, and ice. Blend until smooth. Serve and enjoy! Adapted paleo sweetened condensed milk from this recipe.